In light of the stunning news the SS United States may become the Crystal Cruise United States, we are proud to announce Jonathan Atkin's photographs produced aboard the SS United States as a compelling duet between ship and world acclaimed dance artist, Desmond Richardson have been accepted by Rochester Institute of Technology's new gallery, SHOP ONE. 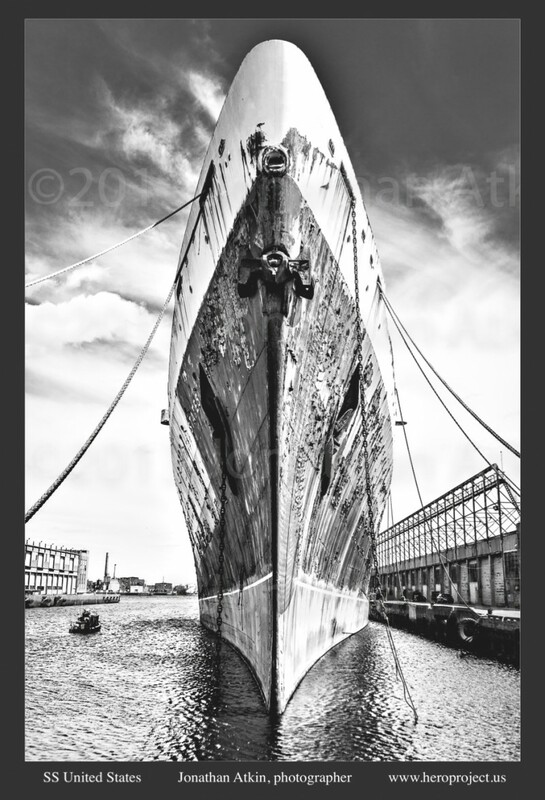 The brilliant aluminum dye sublimation prints echo the vessel's superstructure as it was entirely built of aluminum. 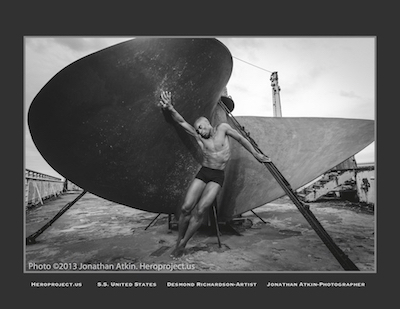 Dance artist Desmond Richardson, the "once in a hundred years dancer," according to Dance Magazine, brought a singular sensitivity to Atkin's photographs championing the iconic vessel. SHOP ONE Gallery manager, Wendy Marks was drawn to the work, as her grandfather was the southern representative for the French Line. She spent time on the SS France. Her mother and grandparents frequently sailed on the SS Normandie as well. Captain Jonathan Atkin has a passion for both the maritime world and the world of dance. He specializes in producing powerful and meticulously planned aerial media for global cargo companies, cruise lines, port authorities, tugboats, barges, pilot boats, and cable ships in ports world wide. (see shipshooter.com) With an unrelenting passion for ships and those who go down to sea in them, in his spare time advocates for historic vessels. 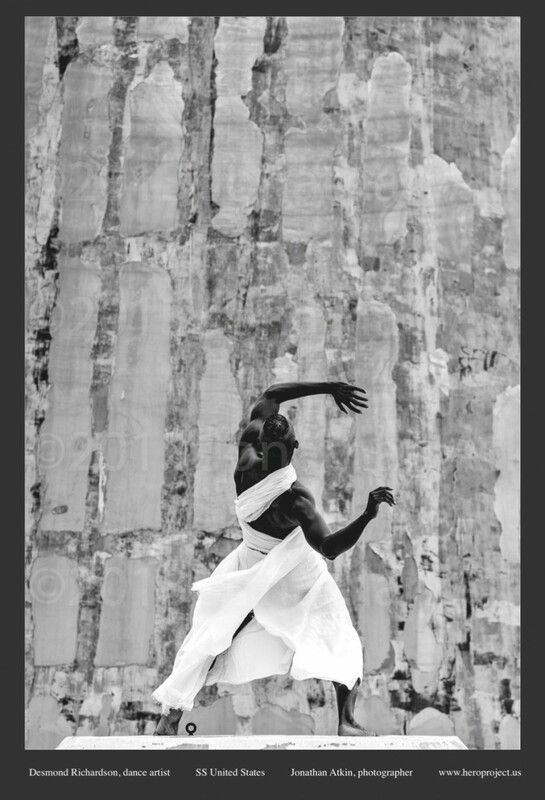 Atkin has also created photography for many of the nations leading dance companies including Alvin Ailey, Dance Theater of Harlem, Dayton Contemporary Dance Co., Erick Hawkins, Eleo Pomare, Garth Fagan, Merce Cunningham, Philadelphia Dance Co., and Trisha Brown. While pursuing an MFA at RIT, he combined a passion for dance in photography, briefly creating his own dance group. 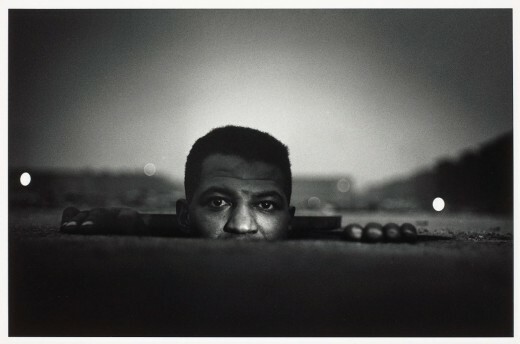 Prior to specializing in maritime photography Atkin completed over 850 assignments for The New York Times Travel and Arts & Leisure.